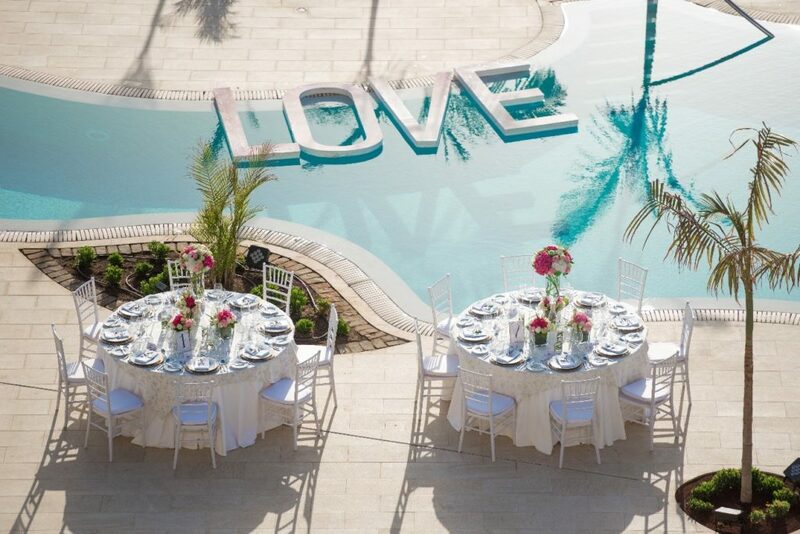 The perfect wedding in Tenerife, one of the most important days of your life … and how difficult it is to organize it! Begins the season of preparations for the perfect wedding of the 2019 season and many couples are wondering what are the key elements to come up with a successful celebration. The next 5, 6 and 7 of October will take place the Feboda fair in Santa Cruz de Tenerife, the indisputable event for all those who want to know the novelties of the sector and, a whole meeting point to deal with the new challenges and tendencies within this growing business. As it has been happening for several editions, Grupo Fedola will also be present on this occasion, in stands 222 and 321. 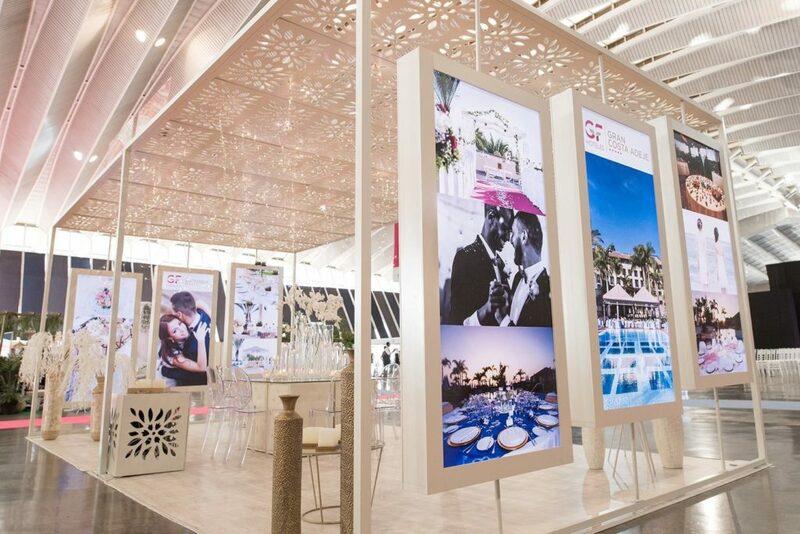 In a total of 32 square meters of exhibition, we will resolve the doubts of anyone who approaches the personalization of bridal events and available establishments, and we will try to inspire with the most innovative proposals. The most important thing about your wedding is to combine it with your personality. 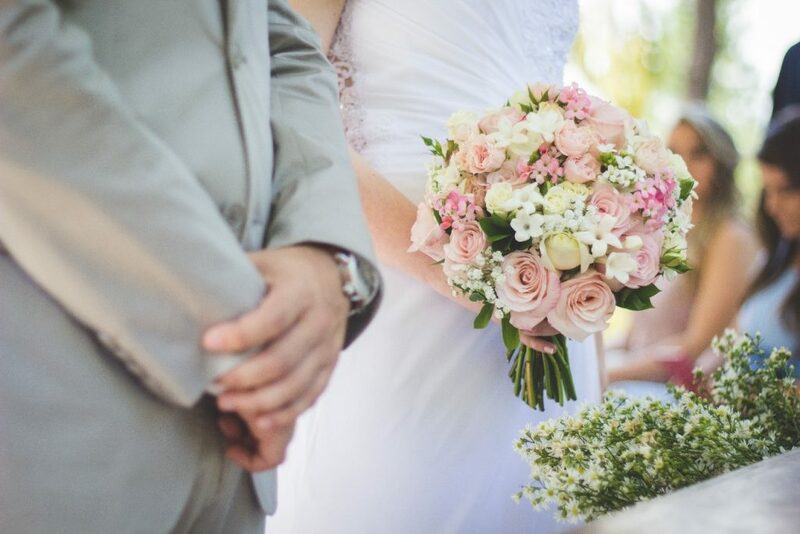 Our intention is to make everything that the couple has planned, whether they want a fairytale wedding with luxurious centerpieces, or if they prefer a simpler or even thematic celebration. The main thing is that the protagonists feel identified and that the final result represents their style. The type of wedding is also decisive when it comes to knowing the number of guests you want to count. Do you want something intimate with those closest to you or do you prefer a party in style? Our hotel has the capacity to host events of the magnitude that you desire and our exclusive suites will be the perfect option for all those who decide to spend the night in our establishment, after the great celebration. If there is something that can benefit the weddings in Tenerife is the excellent climate we have for most of the year. The choice of dates is essential to work with time, but not to worry about the time. If you choose to get married at Hotel GF Victoria ***** GL, mild temperatures are almost guaranteed. Similarly, there are many who come to Feboda to be interested in farms for weddings in Tenerife, so we recommend going through our hotel and know all the possibilities offered by our facilities. There is nothing more romantic than an outdoor event, with our splendid swimming pools in the surroundings and the attention to detail that all the guests will receive thanks to our staff. Are you one of those who want your guests to enjoy a good meal? Nothing like the services of our kitchen team to make the choice of catering is the most appropriate. Weddings in the Canary Islands always boast an excellent cuisine and, thanks to the work of our experts, in your case it will not be less. Whether you are looking for traditional flavors or if you like the most avant-garde dishes, or even if you have come up with the wedding cake of your dreams and do not know where to find it, we will always give you the most appropriate formula to win your guests. After a long time organizing weddings, our advice as experts is that you always bet on the details. The decoration, the gifts for guests, the choice of your ideal dress or knowing with certainty what song to open the dance are just some of the factors that will make your special day unforgettable. The multitude of spaces that the Hotel GF Victoria ***** GL has makes it the perfect place for a wedding shooting of the most inspiring. If you also find sleep in search of a wedding photographer in Tenerife, you just have to tell our team of Feboda and we will recommend you to the best ones, depending on your budget. The memories of such a special day are fundamental and nothing would please us more than to accompany you and be part of this process. This entry was posted in Hotel and tagged wedding.